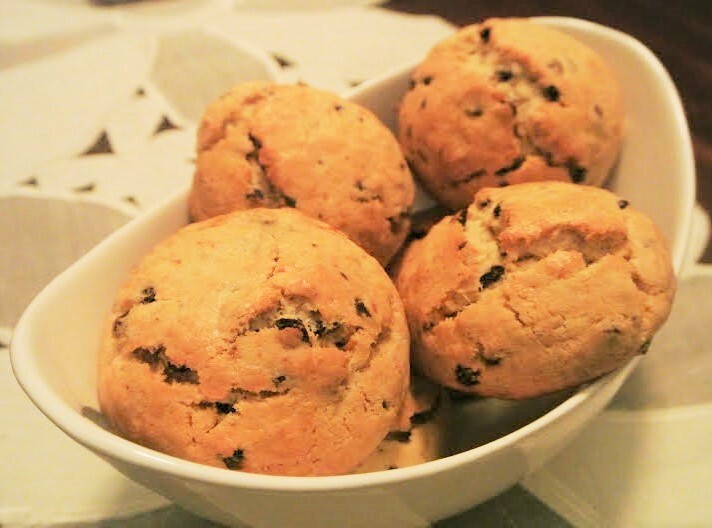 In my childhood, Fat Rascals were a favorite of mine, currant-spiked buns resembling a sweet scone but with more butter. The dough is mixed just like scones. Rascals are best eaten very fresh, perhaps warm from the oven. 1. Heat the oven to 375°F/190C°. Set the shelf in the center of the oven. Butter a baking sheet. 2. For the dough: Mix the flour with the baking powder in a bowl. Add the diced butter and rub into the flour with your fingertips to form crumbs. Stir in the sugar, currants and candied peel. Make a well in the center and add the egg and cream. Continue to mix with your hand, then press together to form a dough. 3. Squeeze off a piece of dough the size of a small orange, roll it to a ball and set on the baking sheet, flattening the ball slightly. Shape the remaining dough in the same way. 4. Brush the rascals with milk to glaze them and bake in the heated oven until they are risen and browned, 20-25 minutes. Serve the day of baking. As a Yorkshire woman, and Anne Willan fan I am delighted to see this recipe. I have a question about the lemon icing for the French lemon cake in Real Food (possibly my favourite cook book). The recipe doesn’t say what the icing should be like, and I am sure I don’t do it right. Could someone kindly clarify for me please? Happy to hear about your affinity for Fat Rascals! The lemon icing for Génoise au Citron from Real Food on page 245, is a French variation of the cake with icing which is meant to be quite thin and almost transparent. The icing should drip down the sides of the cake, and does this more easily on a warm cake. Do let us know if this is helpful.